We’d love your help. Let us know what’s wrong with this preview of Shining Star by C. Miles. He was a rock star who overcame drug addiction to become an icon to his millions of fans. She was a country girl who was drowning in debt and her ranch was mortgaged to the hilt. When the two of them met, there was instant attraction that exploded into passionate fireworks during their short time together. As they said goodbye to each other, neither expected to see the oth He was a rock star who overcame drug addiction to become an icon to his millions of fans. She was a country girl who was drowning in debt and her ranch was mortgaged to the hilt. When the two of them met, there was instant attraction that exploded into passionate fireworks during their short time together. As they said goodbye to each other, neither expected to see the other again. They did indeed meet again but secrets, jealousy and people they shouldn’t have trusted conspired to keep them apart. 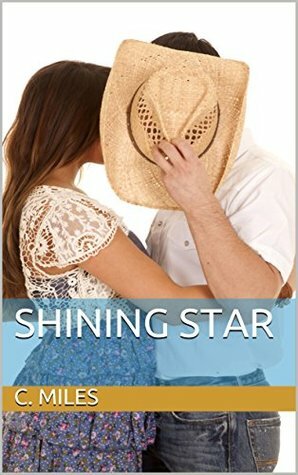 Can a Texas girl who loves to line dance and ride horses find happiness with a rock singer who lives in a whole different world? Dillon Reed and Emma Hartley are as different as night and day. Is their love strong enough to overcome their differences? This book doesn’t contain explicit sexual scenes but does contain mature themes and is intended for adult readers. To ask other readers questions about Shining Star, please sign up.